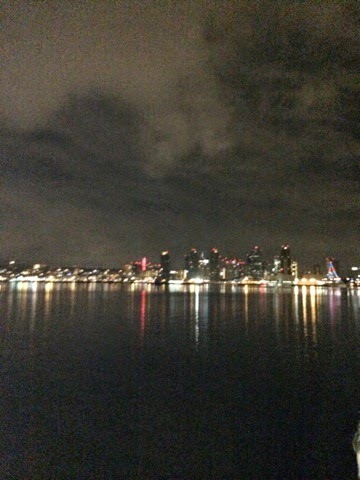 Tori and I decided last minute that we would go to San Diego for fall break. It was a much needed vacation. Nothing beats being in the sun on the beach with not a worry in the world. 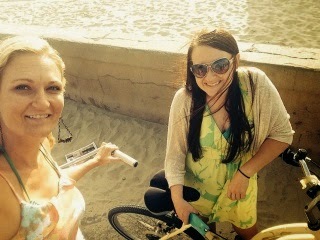 I was grateful that I was able to spend some time with Tori. Her family was very welcoming, and we had a great time. 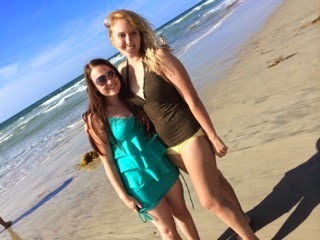 The first day we went to Mission Beach. It was a beautiful day. It was a little chilly at first, but it ended up being perfect. This beach had a carnival attached to it, and a bunch of shopping stores. It was such a fun scene, and so relaxing. There is nothing like taking a nap on the beach. 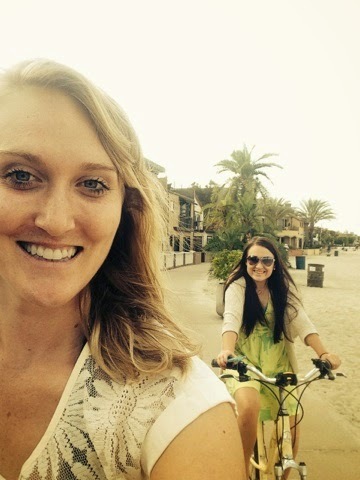 My favorite part was being able to ride our bikes along the shore. There was nothing like it. If only I could wake up every day and ride along the beach. It would be a pretty great life. We had a lot of fun doing that. We also got to ride on a Roller Coaster at the beach. 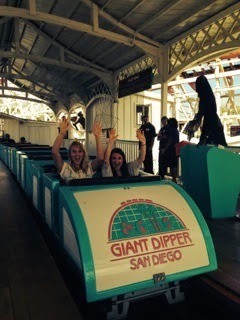 This Roller Coaster was one of the first ones made in California. It was definitely old and rickety, but so fun!! When you got to the top it overlooked the Ocean. It was beautiful!! 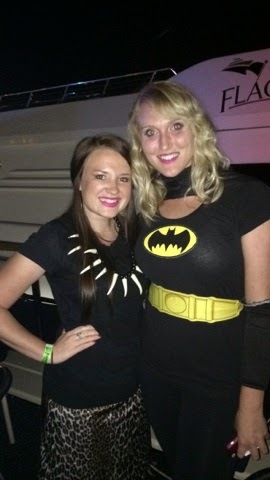 We got to go to a Halloween Dance party on a boat that was with a bunch of YSA. 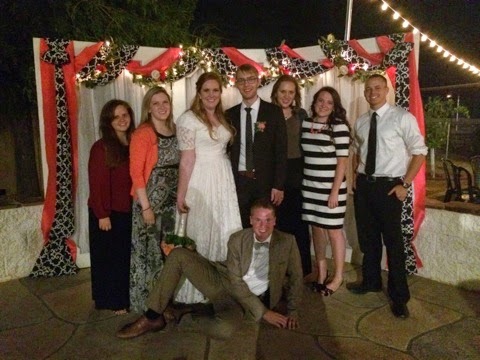 I was so nervous because I hadn't been to a dance since before my mission. We dressed up as well. 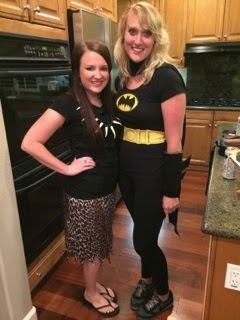 I was a cave woman, and tori was bat woman. The boat left at 11pm and came back at 2am. It was seriously a blast. The boat was huge. There was 3 different levels. On the first and last level they had DJs and lots of dancing. Let's just say I was exhausted after I left, but had such a good time. I have never seen something so beautiful. 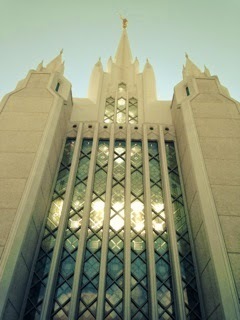 This temple was unreal. The inside was breath taking. I have never experienced something so pretty before. It was such a testimony builder that God is real. 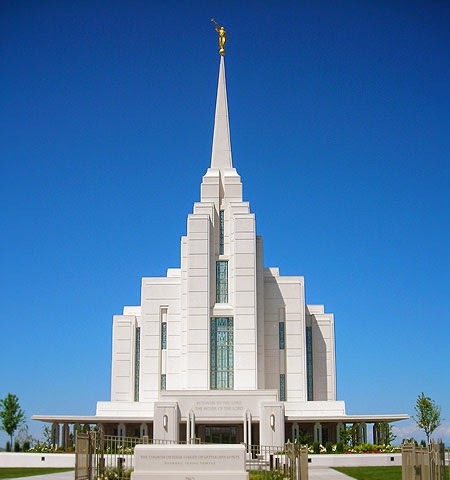 There was a part after the celestial room where there was a glass portion that was filled with flowers, and as you looked towards the ceiling you could see Angel Moroni. It was so beautiful. If it wasn't so far away I would definitely want to be married there. 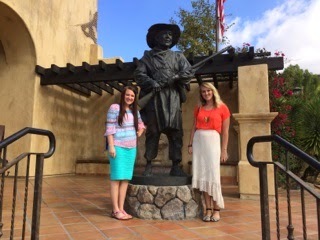 We also got to go to the Mormon Battalion. It was awesome, but such a different experience. I realized that God knew which visitor center to send me. When we walked to the doors they turned somebody away, and I was so shocked. I wanted to grab them and testify to them. I automatically went into Sister Missionary mode. It was however such a great experience. 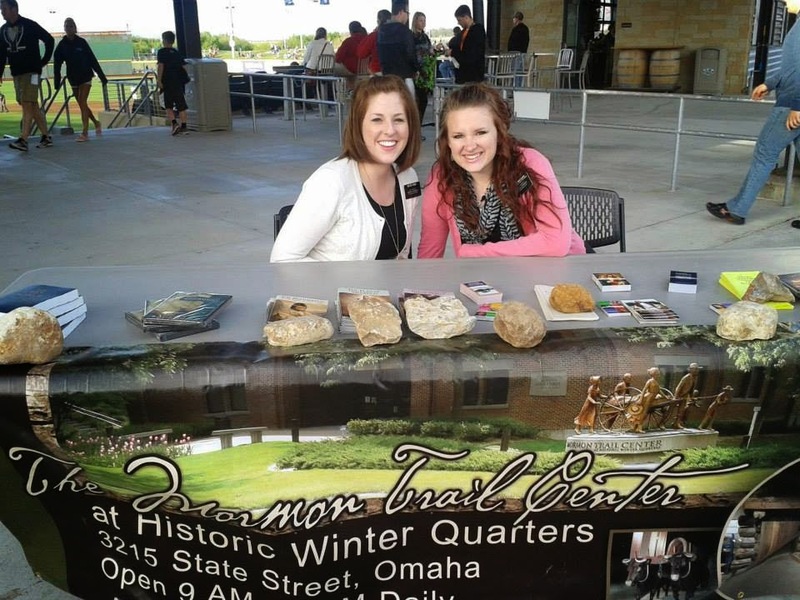 It was so nice to be able to feel at home again and talk about the faithful pioneers that I grew to love. I am so grateful for the example of those who served in the Mormon Battalion. They sacrificed and gave everything they had to be obedient to what the Lord had asked them to do. It was a great reminder to me that I need to be willing to sacrifice more to the Lord, and strive to be more obedient. It was a great way to end my vacation. 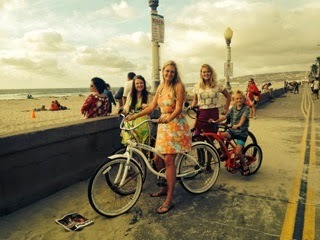 California was good to us!! I am still working at Labor and Delivery and I LOVE it!! Being able to welcome these new babies into the world is such an incredible experience. I am grateful that I get to feel the spirit each day I work. Today I was sitting up at the front desk when in walks my best friend Katrina. I could not have been more excited to see her. She was in Labor, and I couldn't have been more happier. I was stressed all day that I wasn't going to be able to see her delivery, but God knew that I needed to be there. Words can't even begin to express the feelings I felt as baby JJ was born. They had been trying for quite some time to have this baby, and it was such a miracle that she got pregnant. A rush of emotion ran through me as I reflected on the friendship that I had with Katrina. 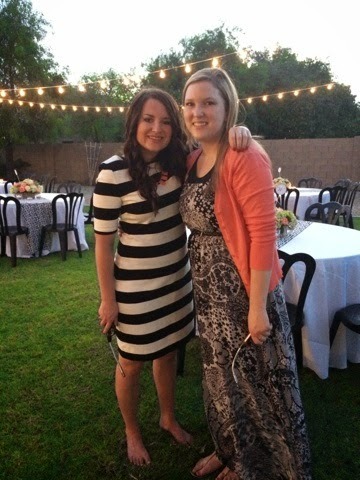 She has been one of my very best friends, and I could call her my sister. Baby JJ is so lucky to have her as his mom. Today I realized that God truly does have an individualized plan for each and every one of us. He loves us, knows us, and his plan is always bigger then our own. I am so grateful that Katrina allowed me to be in her delivery to witness a miracle, and to be apart of their special day. Nothing is better then welcoming one of Gods children into this world, but what is even better is when it is to someone you truly love. 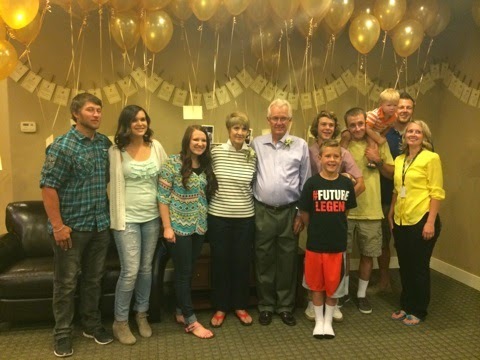 Chase is getting married!! I couldn't be more excited for him. I have never seen him so happy. I absolutely love his Fiance'. Her name is Kassi, and she is from California. I am so excited to welcome her into our family. June is going to be an exciting time in our family. They are getting married in the New Port temple. I am so proud of them! My Companions name is Sister Farnsworth. 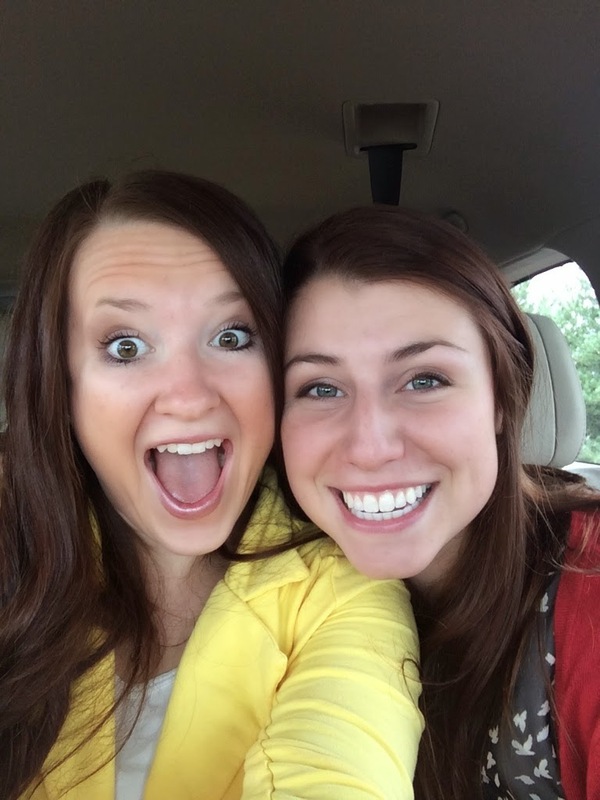 She is tall, has red hair, crazy as I am, and is my best friend. We are already known as the crazy Sisters. Which I love. I know that Heavenly Father truly has a plan for me, and that he put us together for a reason. I learn from her each and every day. She has a spirit about her that is indescribable. The moment she opens her mouth to speak the spirit is instantly there. I love her, and am so grateful for her.... This was from one of my first letters home on my mission. Who would have thought that 2 years later I would have the opportunity to fly to Arizona and go to her wedding. God definetly knew that I needed her in my life. I love this girl so much. 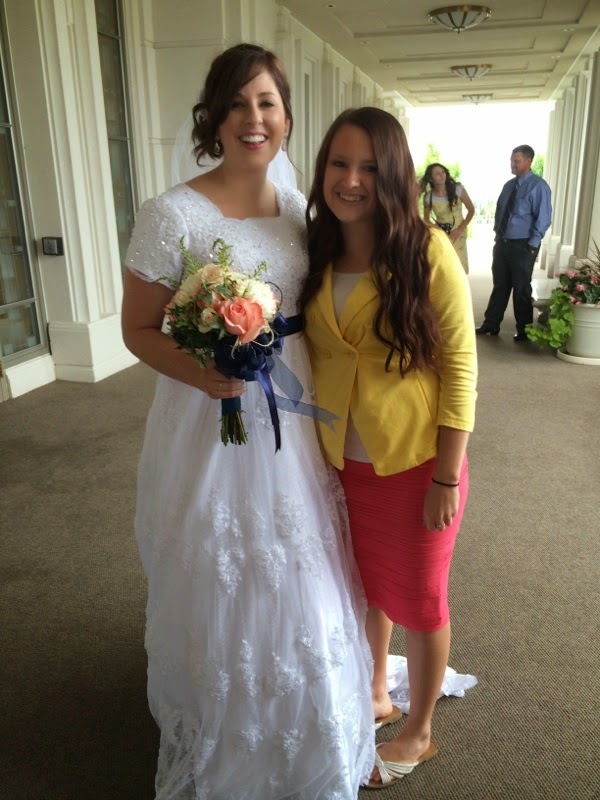 I have learned so much from her and am so grateful that I got to be a part of her special day. Aly and Kev met in the good old place of Nebraska. Kev was one of my District Leaders, and Zone Leaders. 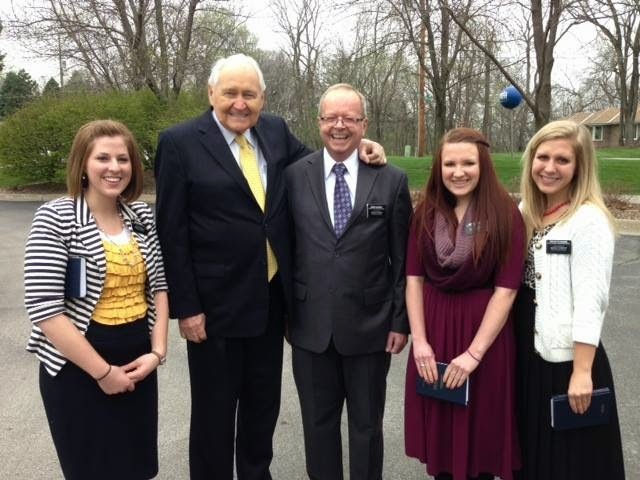 He was an incredible missionary. 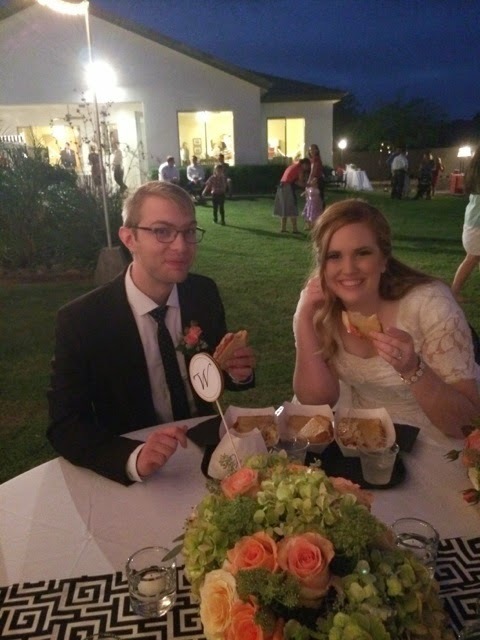 I am so happy for both of them. They make such an incredible couple, and are so in love!! Missionaries from NOM. 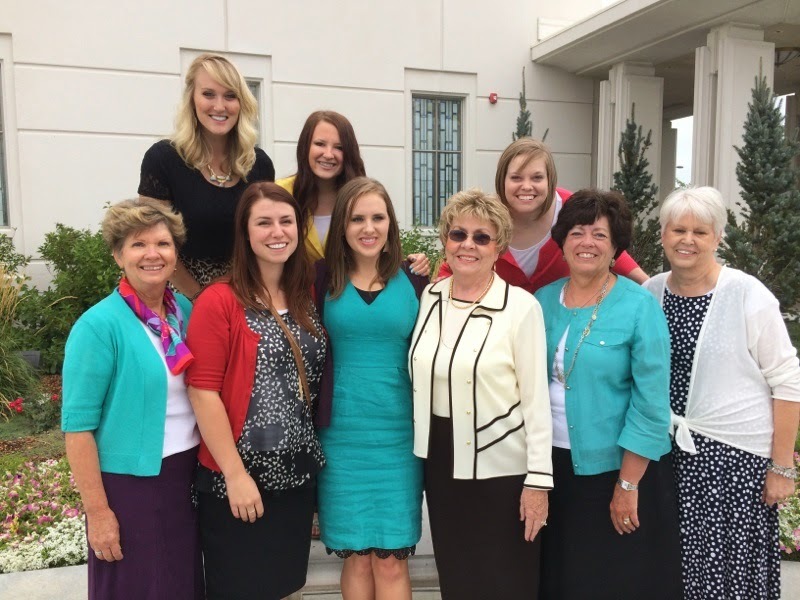 I am so grateful for my mission, and the second family I have gained. Taylor is my awesome roommate and best friend. I love her, and am so grateful she came with me to support Farny. 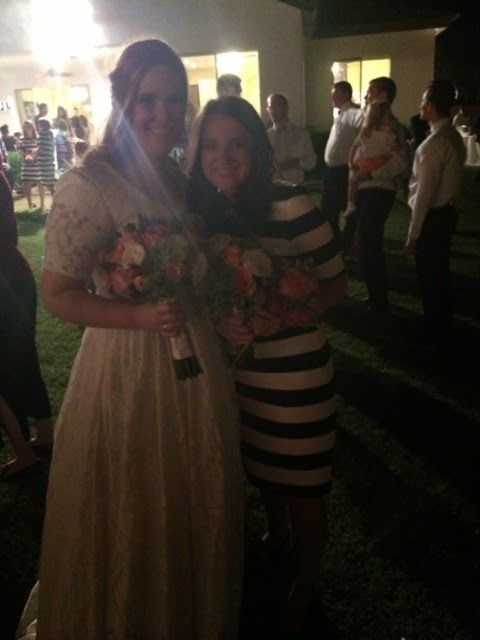 This picture is really blurry, but guess who caught the Boquet? Yes that would be me!! Let's hope that they myth will really come true. I am so proud of Aly and Kev and their decision to be sealed for all time and eternity. I could not be more proud of them. There sealing was such an incredible experience. I am so grateful for the gospel and for the blessings that it brings to me each and every day. I am so grateful for eternal families, and can't wait to be sealed one day to someone that I love. My family started a new tradition this year. We did the dirty dash in Heber Valley. It was a 6 mile course through the mud. It was dirty, fun, hard, and the best time ever! We will definitely keep up this tradition in our family. Notice the Zombie in the background. Yup, that would be me. Chase and Kassi by far got the muddiest. In our very first course Chase tackled Kassi and they both went completely under the water. Let's just say they were pretty muddy. They are perfect for each other. This is Maddison. We served our missions together. I love her to pieces, and am so excited that her and Logan are now dating. On the first obstacle course John's shoulder popped out of place. He still finished the whole thing with us, and didn't complain once. He is one tough guy. We are all a little muddy. We had mud in our nose, ears, under our finger nails, in between our toes, and all over us. It was a little disgusting, but so worth it. To get all clean we all jumped in the back of Todds truck and he drove us to Deer Creek and we all jumped in the freezing cold water. Gotta love the crazy things the Whitts do. It was definitely worth it though. 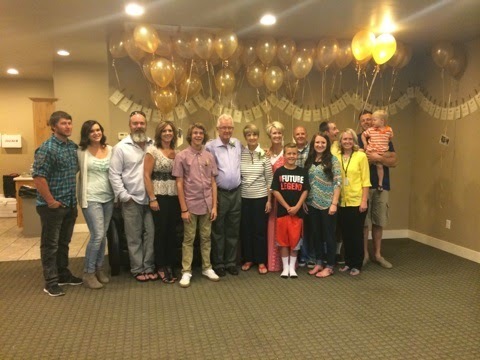 We threw a surprise 50th Wedding Anniversary party for Gege and Pop. It was such a fun night. So many family and friends came to celebrate with us. So many people love my sweet grandparents, but not as much as I do. I am so grateful for them, and there love that they constantly show me. They have been my biggest fans throughout my whole life. They have showed me what true love is, and how to have a great marriage. 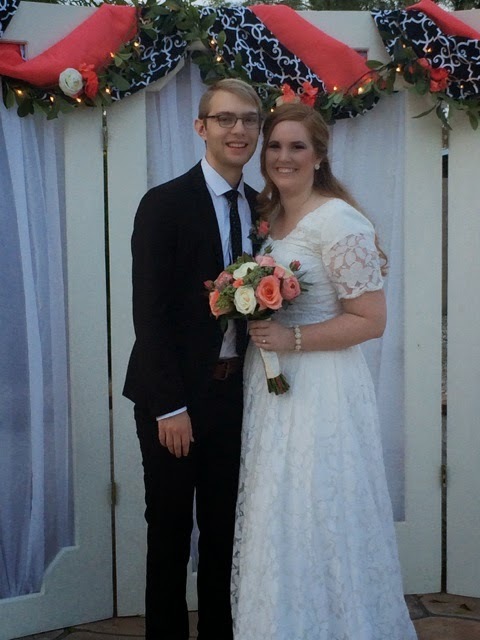 I love them, and am so grateful that we got to celebrate this special day with them. Shea made this beautiful cake for them. They cut the cake tonight just like they did on their wedding day. After 50 years they still smashed cake in each others faces. Now that is true love! HAPPY 50TH ANNIVERSARY GEGE AND POP!! Here is to 50 more. 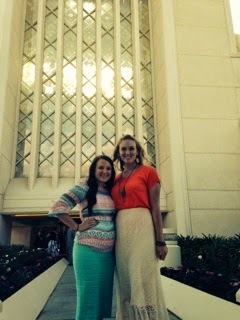 Sister Kirby was one of my Favorite Companions. We were Trail Center Leaders together/Companions for 4 transfers. We went through a lot together. I will forever be grateful for her, and the many things that she taught me. We will forever be sisters. 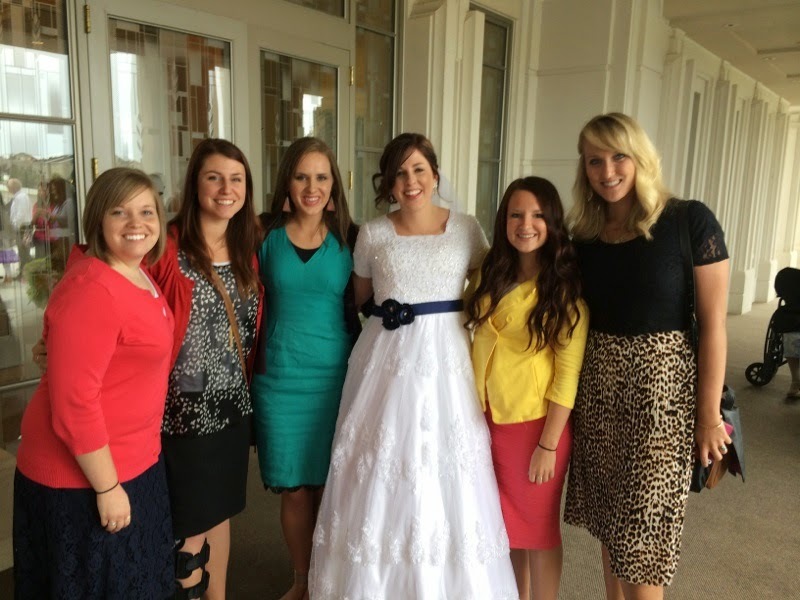 I had the opportunity to travel to Rexburg, Idaho to go to her wedding. It was definitely a day that I would never miss. I was so grateful that I got to see so many other people that I loved as well. My mission friends will always be my second family. 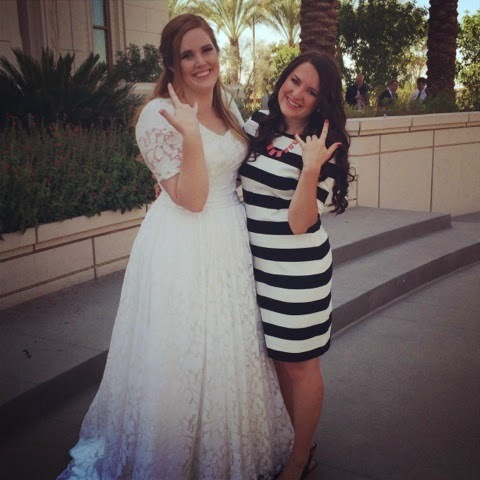 I am so proud of Kirbs for getting married in the temple, and being sealed for all time and eternity to Mark. It was an incredible experience to be able to be in the sealing room with them as they were sealed. 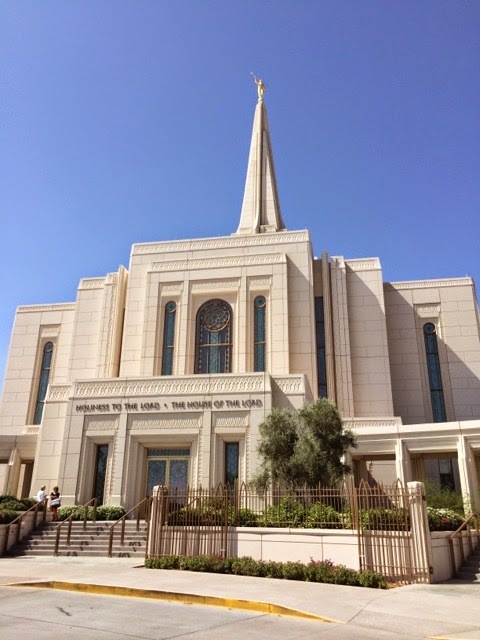 In the temple I was reminded of the importance of going to the temple regularly so that we can be reminded of the covenants that we have made. They were promised that as they live their covenants they will be eternally happy. I know that I will be eternally happy as well as I live my covenants. I am so grateful for the gospel and the blessings that it brings to me each and every day. 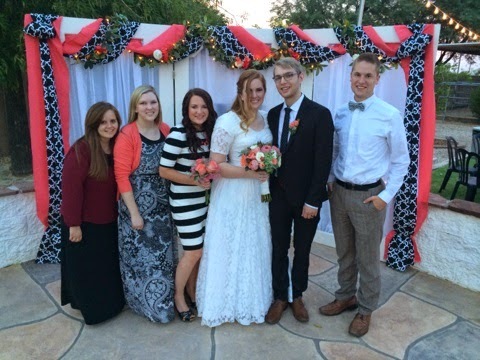 I am grateful for my parents and their decision to get married in the temple so that my family could be together forever. I hope that I can continue to live the gospel and prepare myself to be sealed to my eternal family one day. My name is Jordyn and I am attending SLCC pursuing a Nursing degree. I work at American Fork Hospital in Labor and Delivery. I teach piano. I am so grateful for all the many blessings that I have and for a wonderful family! 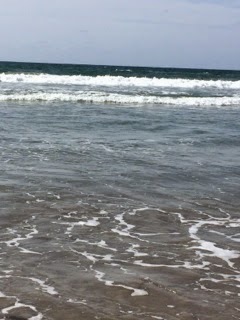 I hope you enjoy the blog!